It has been claimed that thousands of incorporated charities may have been caught up in a technical data hiccup between the charity regulator, the ACNC, and the corporate watchdog ASIC. The Australian Securities and Investments Commission is continuing to invoice incorporated charities for their annual registration review and fee which is no longer payable for charities registered with the Australian Charities and Not-for-profits Commission. 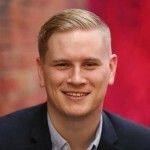 A solicitor and office bearer for the SRC Legal Service based at Sydney University, Thomas McLoughlin, said the issue was highlighted when his ACNC registered incorporated Not for Profit was wrongfully invoiced by ASIC for $243. “I am concerned that thousands of Not for Profits with ACNC are being invoiced wrongfully by ASIC. Arguably ASIC’s conduct may be misleading and deceptive under section 18 of the Australian Consumer Law,” McLoughlin said. McLoughlin said an ASIC staffer advised his office by telephone that the SRC was obliged to contact the ACNC and have the the regulator contact ASIC with updated registration and office bearers’ details. “But really we shouldn’t have the burden of liaison between ACNC and ASIC over ASIC updating our duly notified office bearers and reporting obligations already made to the ACNC. Nor should we get a threatening email about late fees and an invoice we are not obliged to pay,” he said. The ACNC admits that it has had a transitional issue with ASIC where their data programs “do not speak to each other”. Assistant ACNC Commissioner Murray Baird said the regulator does a bulk data match to ensure that ASIC has the full list of charitable companies but some unfortunately fall through the cracks. The ACNC said the issue relates to the exact name of the incorporated charity as it appears on the ASIC register compared to how it appears on the ACNC register. “It’s a transitional issue between programs that don’t talk to each other automatically because of a discrepancy between an ACN and an ABN,” Baird said. “ASIC is often not aware that the organisation is a charity because of a discrepancy in names. Baird admits that the transition process has gone on longer than expected but does not believe it affects thousands of incorporated charities. “We are seeing about four charities a week coming to us with letters from ASIC seeking registration renewal fees,” he told Pro Bono Australia News. Baird said if charities mistakenly pay the ASIC fee they are entitled to a refund and if charities receive these letters from ASIC they should call the ACNC and the regulator will do the leg work. The ACNC website says: For some charities, their obligations to the ACNC replace their obligations to other government regulators (for example, charitable companies no longer need to report to Australian Securities and Investments Commission (ASIC).